We must come to terms with the fact that great movies, movies that we love, will be remade in one way or another in today’s Hollywood. It’s easy to think that a remake will be tarnished just by virtue of the original existing, but that doesn’t mean it’s a guaranteed recipe for disaster. Disney has been developing live-action remakes of their animated films over the past few years now, and there are reasons for encouragement, as evidenced by Cinderella, The Jungle Book, and Pete’s Dragon. 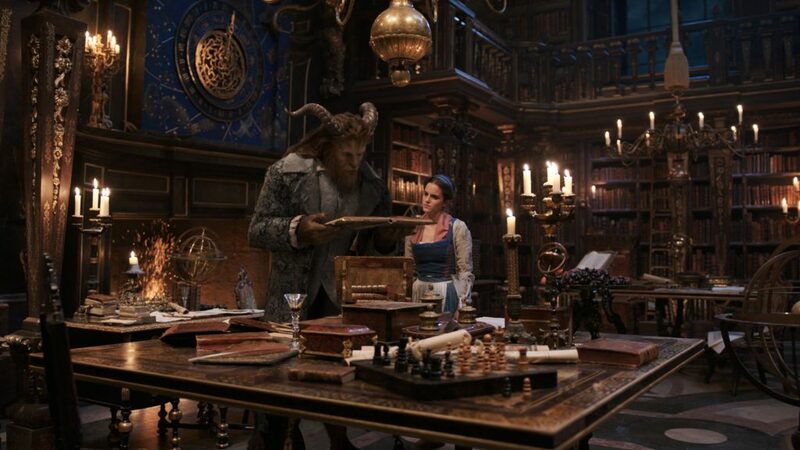 The studio’s latest live-action remake is none other than Beauty and the Beast, and upon first look, it appears to have the ingredients for success: a director with musical experience in Bill Condon (who helmed Dreamgirls and wrote Chicago), an extremely accomplished cast, the original film’s composer and songwriter Alan Menken, and a clear reverence for said film. And yet, the picture as a whole is less than the sum of its parts. This entry was posted in Movies on March 22, 2017 by Jun I. Lo and behold! A new cinematic universe has risen, and “massive” is certainly a word to describe it. This is the MonsterVerse, which began with 2014’s Godzilla and seeks to cultivate rumbles that pit the King of the Monsters against King Kong (Godzilla vs. Kong arrives in 2020) and many other gargantuan beasts. It sounds like a franchise catered to 8-year-old boys, but hey, who can resist the thought of monsters duking it out amid mass destruction? It sounds fun, and if there’s one thing Kong: Skull Island is full of, that’s just it. This entry was posted in Movies on March 16, 2017 by Jun I.
Logan marks the end of an era for the X-Men films. Having debuted in 2000, the first film not only spawned the franchise, but also began the run of comic book films that became the active and formidable juggernaut it is today. Nearly 17 years have passed since then, and while plenty of new faces assume the characters we’ve come to know, two pillars remain from the first film: Hugh Jackman as James “Logan” Howlett / Wolverine and Patrick Stewart as Charles Xavier / Professor X. We’ve known for a while now that the latest film marks their final appearances, and given how the actors are quite synonymous with their characters, it must be nothing less than a fitting send-off. Sure enough, this intimate and rousing film – while imperfect – lives up to the occasion and proves to be one of the best entries in the franchise. This entry was posted in Movies on March 8, 2017 by Jun I. Last month, I mentioned that I won’t be writing as often this year due to some personal projects. However, I’ve gone to the cinema few times, and it feels odd to not write down my thoughts for the movies I’ve seen. That said, I’m introducing capsules: paragraph-long critiques about the films I watch. Depending on the time afforded to me, I can write a single capsule per movie I watch or compile a bunch of them into a post that will be published at month’s end (like this one). These won’t replace reviews or quick takes, though it’s safe to say that you’ll be seeing more capsules and quick takes from me this year compared to reviews. 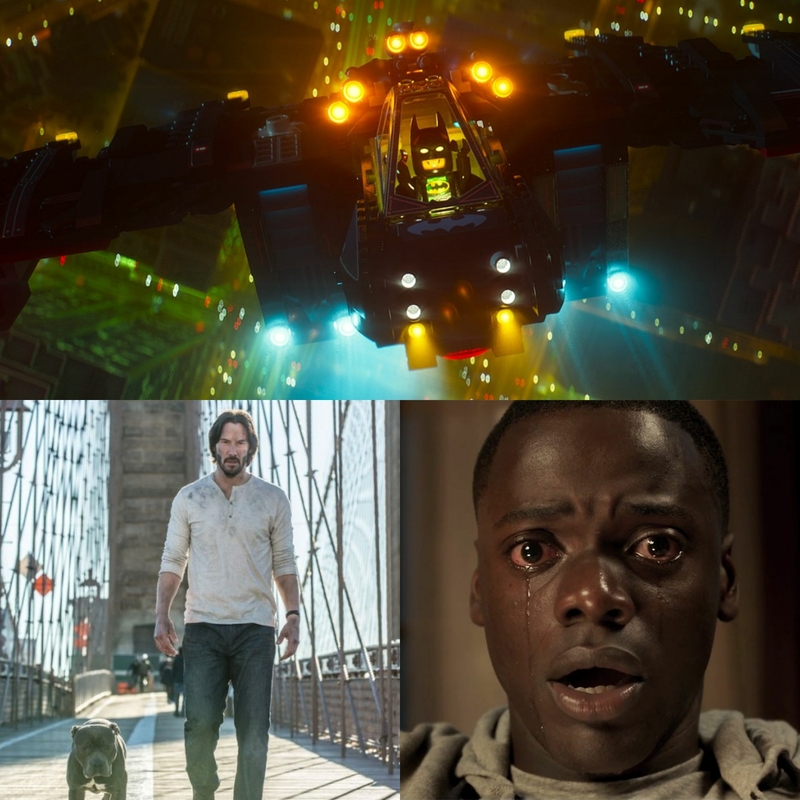 The movies being covered in the February capsules include John Wick: Chapter 2, The Lego Batman Movie, and Get Out. This entry was posted in Movies on March 1, 2017 by Jun I.